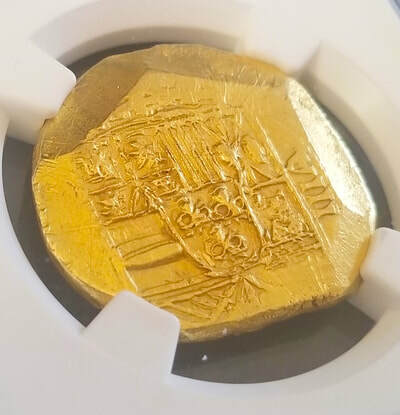 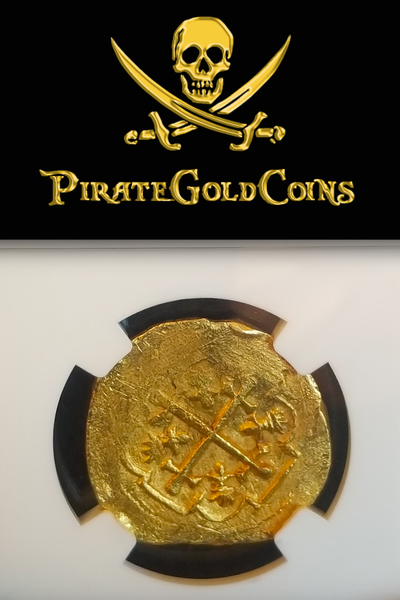 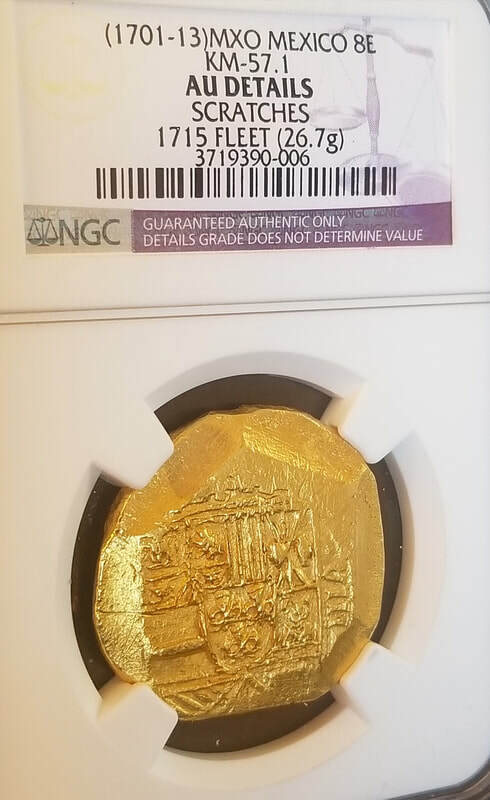 MEXICO 1701-13 8 ESCUDOS 1715 FLEET NGC AU SHIPWRECK GOLD TREASURE PIRATE COIN What a great Large Thick Shipwreck Gold Doubloon from over 300 Years ago! This piece has the “Pirate” look to it, brute example. 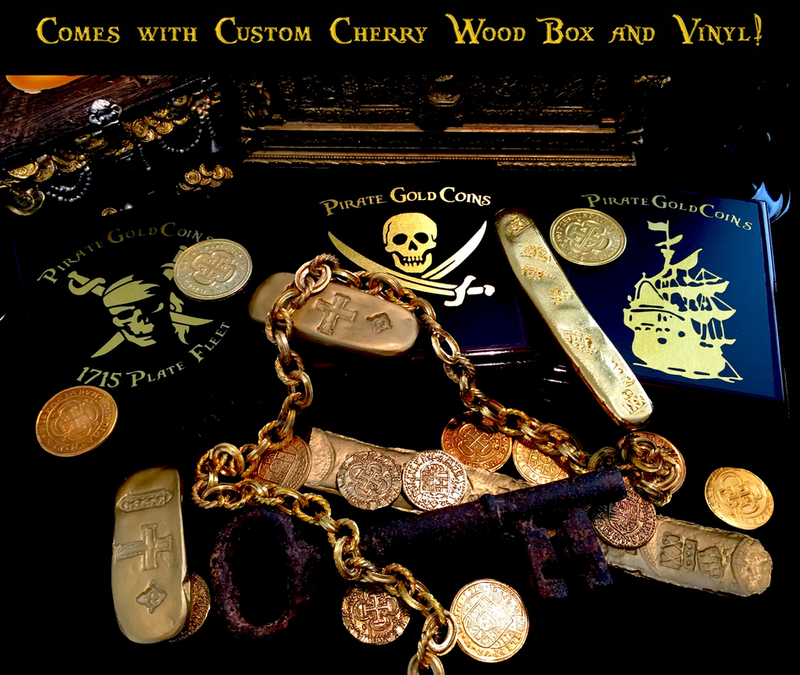 You can just imagine it sitting inside a Treasure Chest sailing on the open seas. 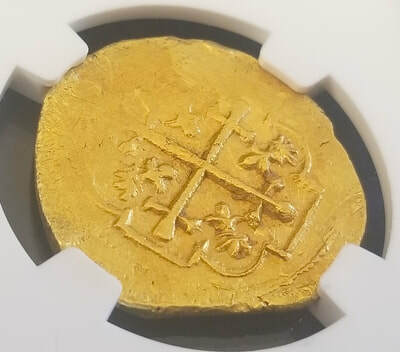 Displaying a full shield and Denomination on the Obverse and the Early Variety of Cross on the Reverse (Templar or Cross of Lorainne). What’s nice about this piece is you can Remove it from the Encapsulation and FEEL and Enjoy the History between your fingers!